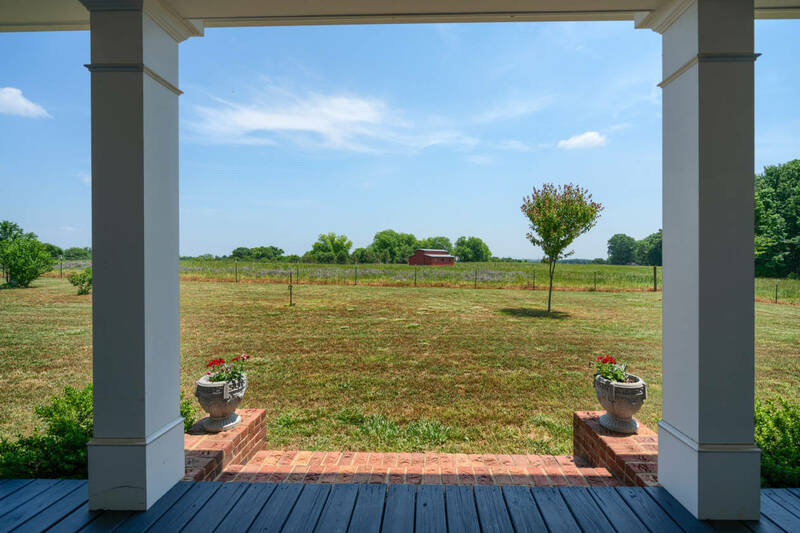 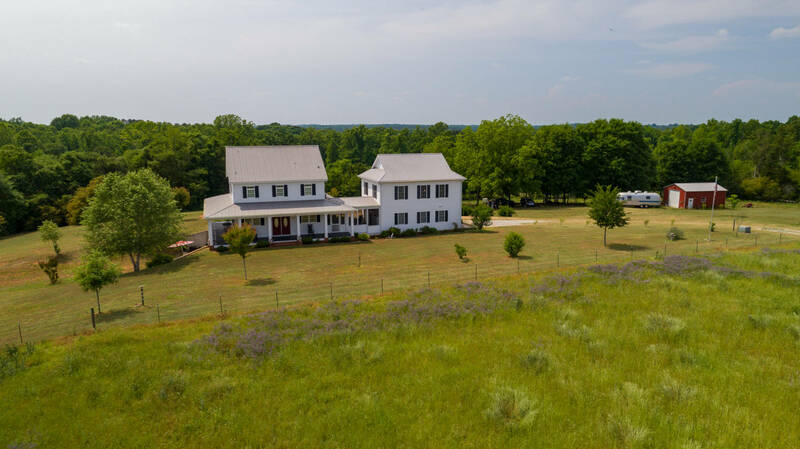 Welcome home to this 30acre farm in Madison County. 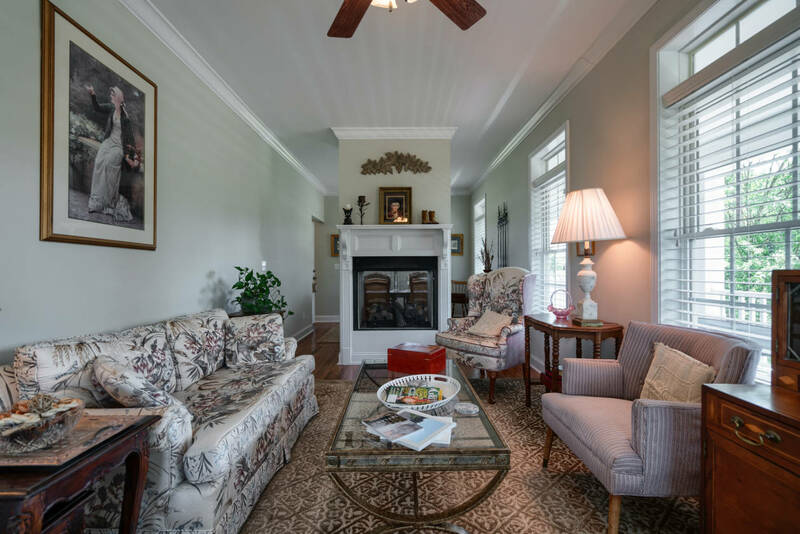 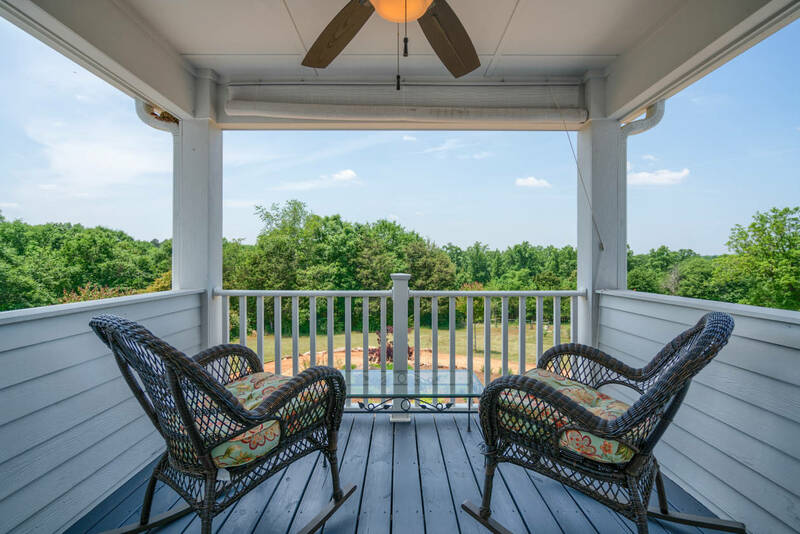 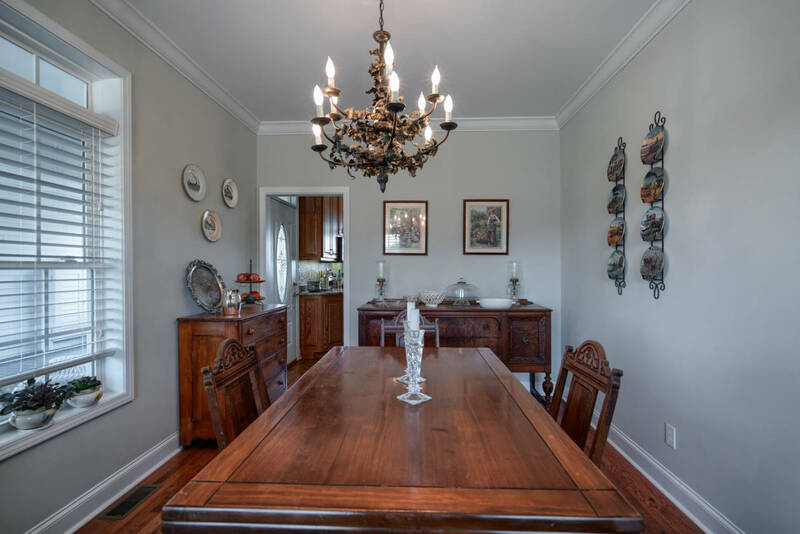 This custom built Southern Living Center Hall Cottage design home sits atop a knoll overlooking approx. 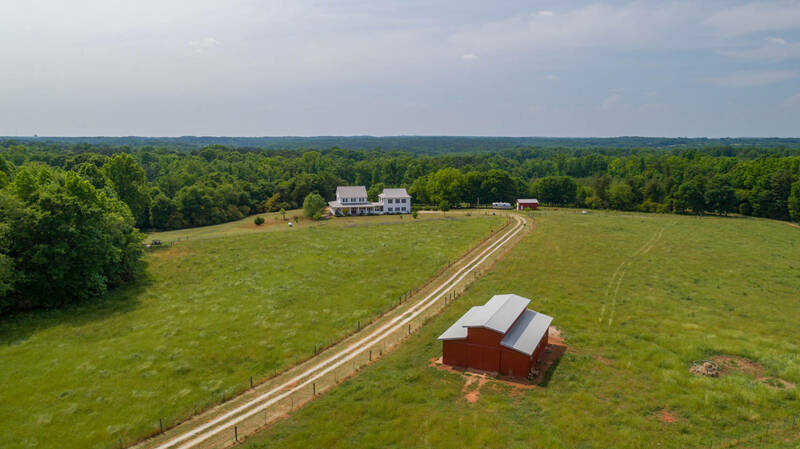 15 acres of pasture land for horses/cattle and 15 acres of hardwoods. 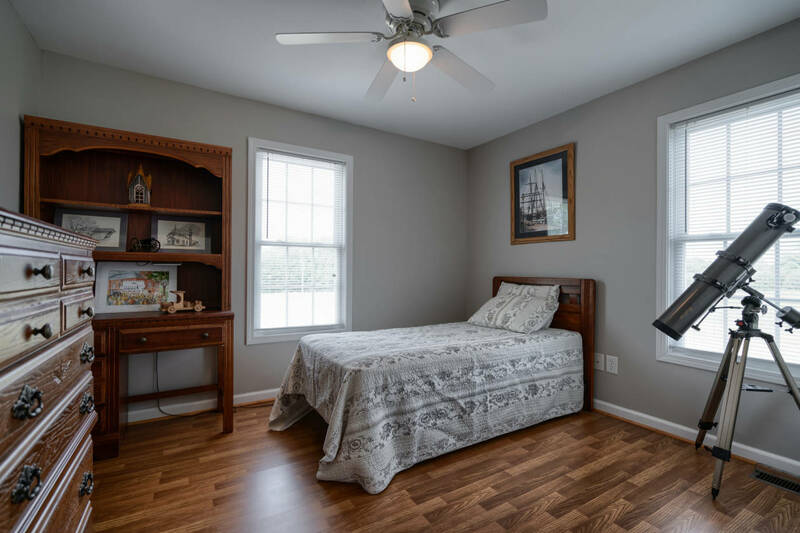 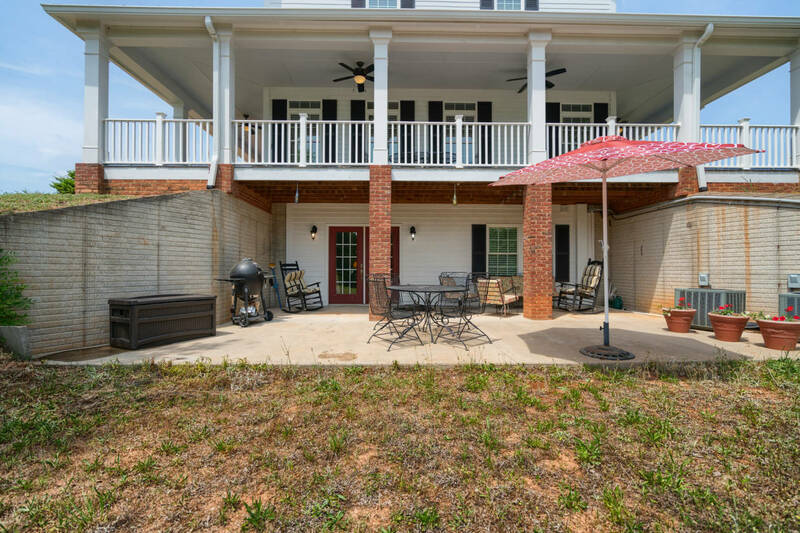 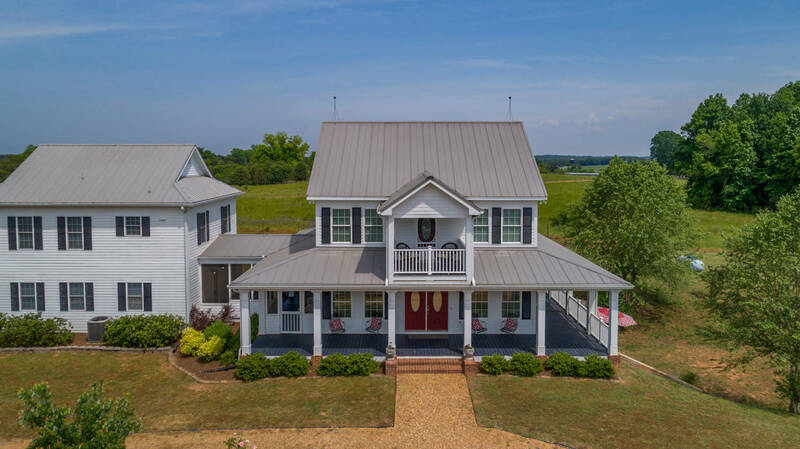 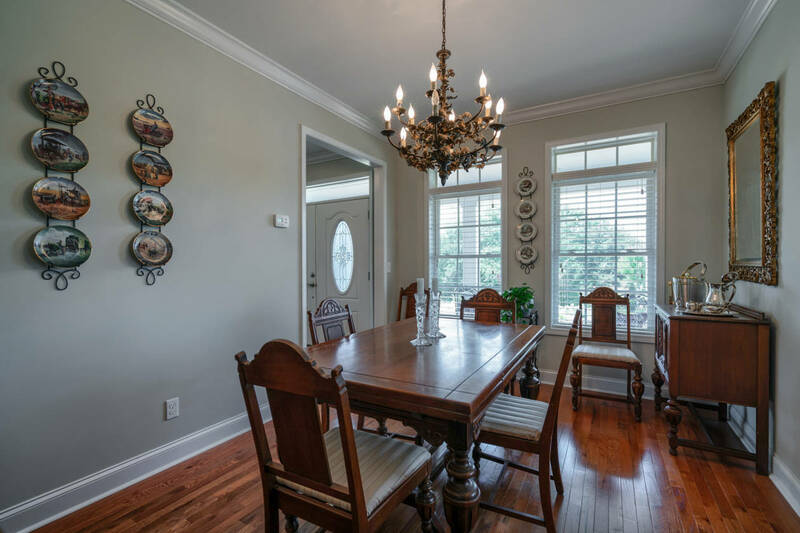 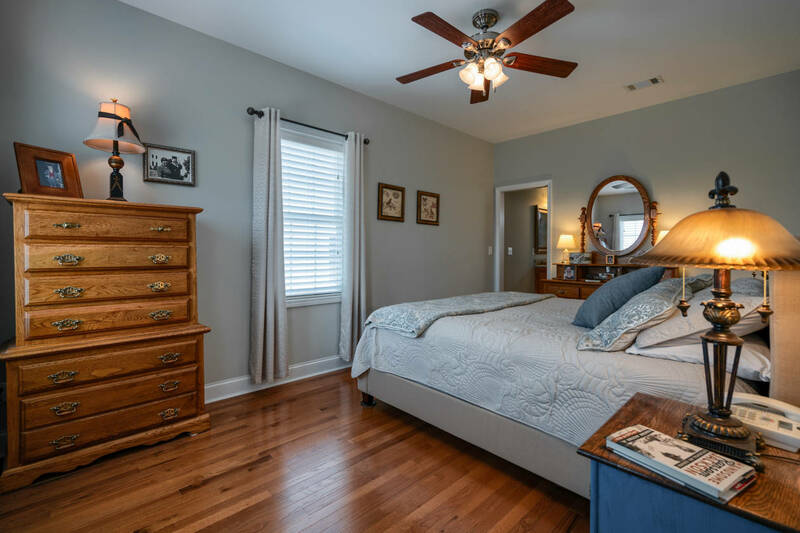 Meticulously designed & maintained, the 5 bed/4.5 bath home also offers a full finished basement & carriage house above the garage which is separated by a screened in porch/breezeway. 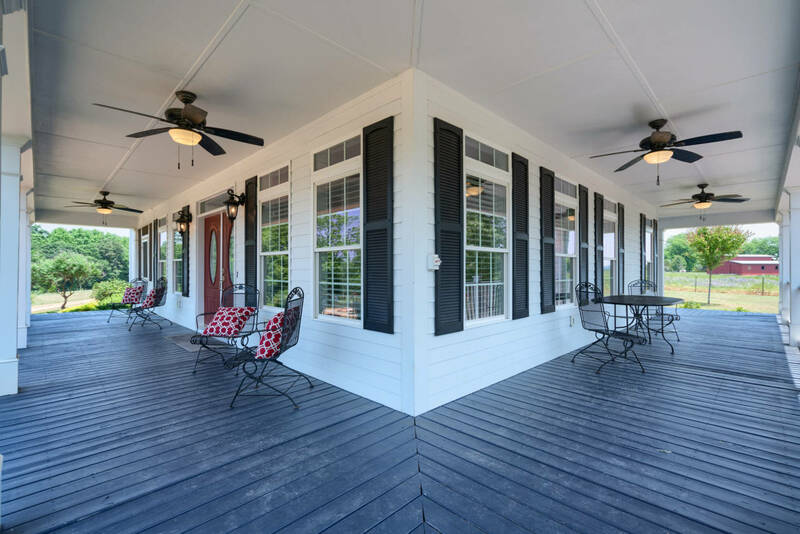 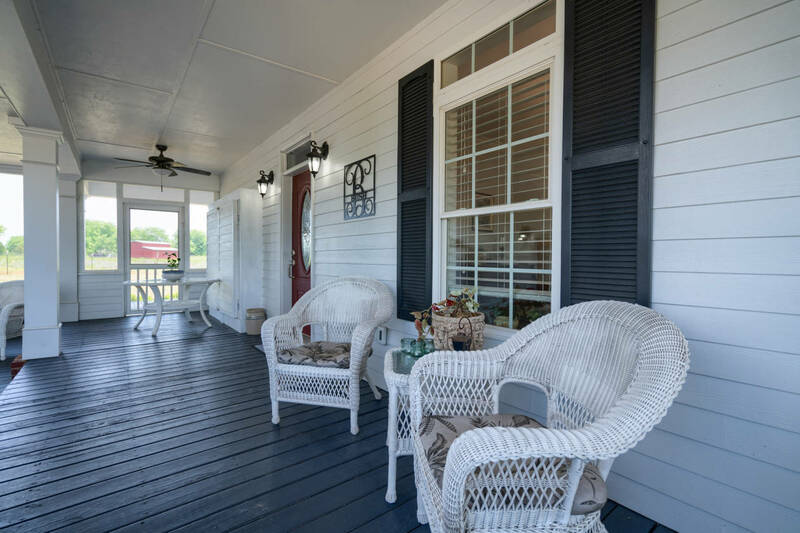 A warm & inviting double door entry from the wrap around porch opens to the main floor foyer with living area on the right & dining room on the left. 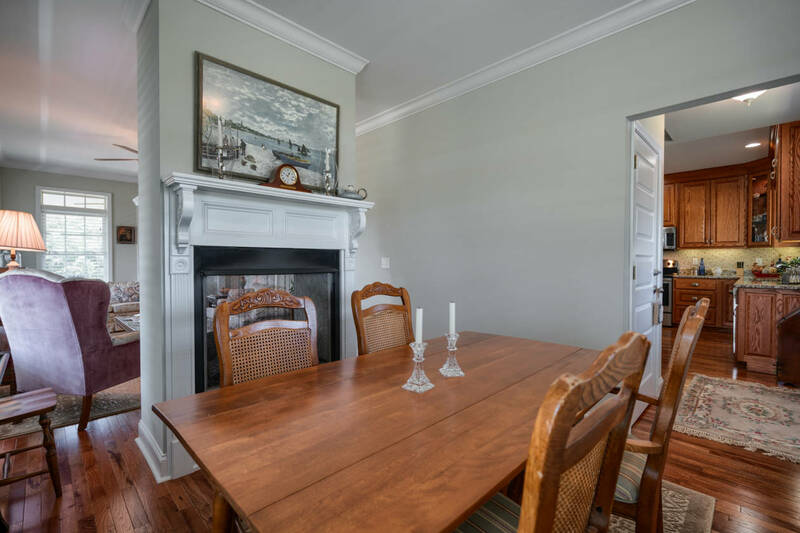 The living room & breakfast dining area is separated by a double-sided gas fireplace. 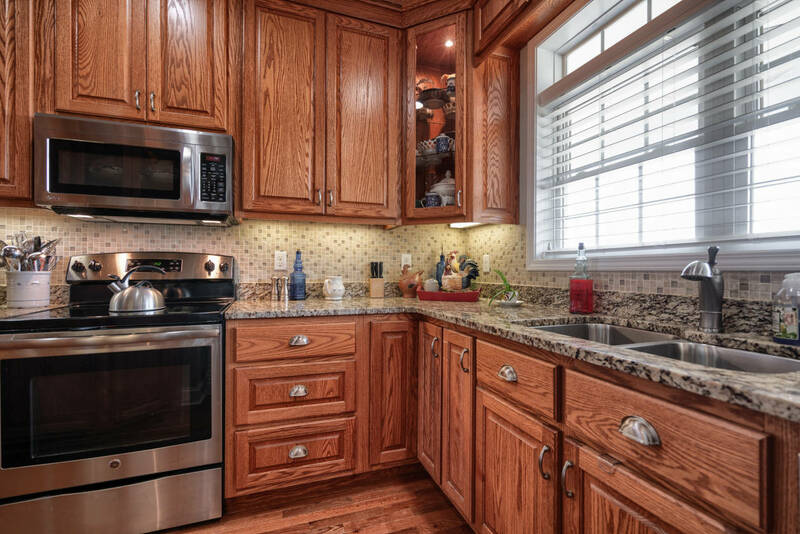 Oak floors & oak custom cabinetry throughout as well as granite counter tops. 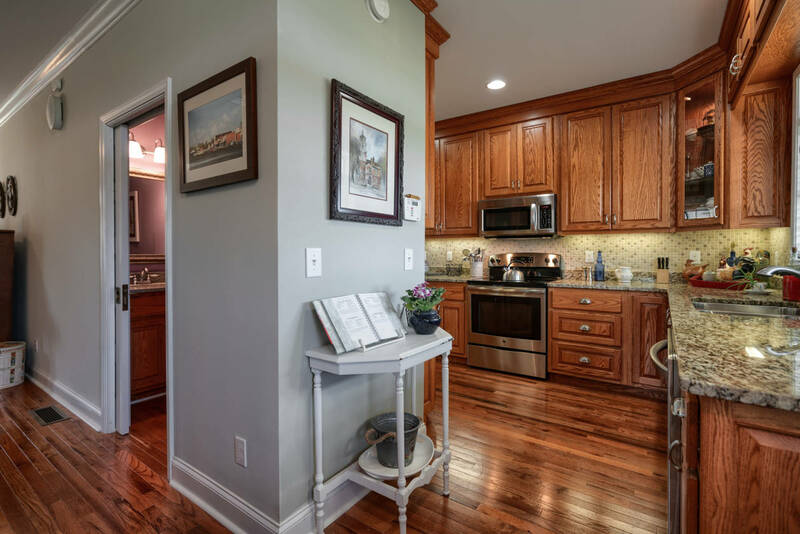 Pocket doors with intricate key locks throughout the main house indicate the mindful use of space. 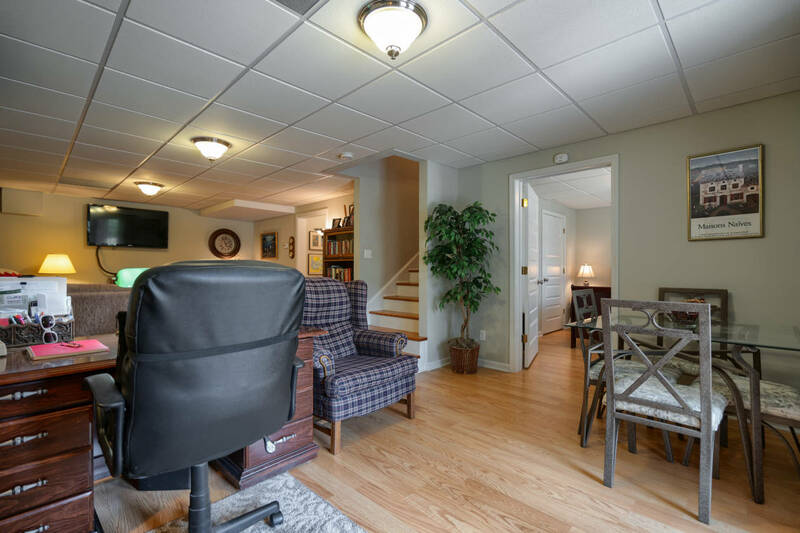 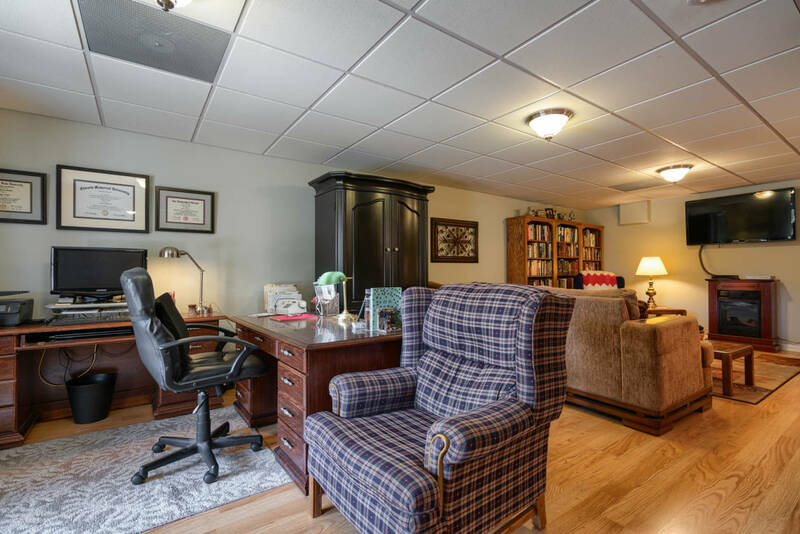 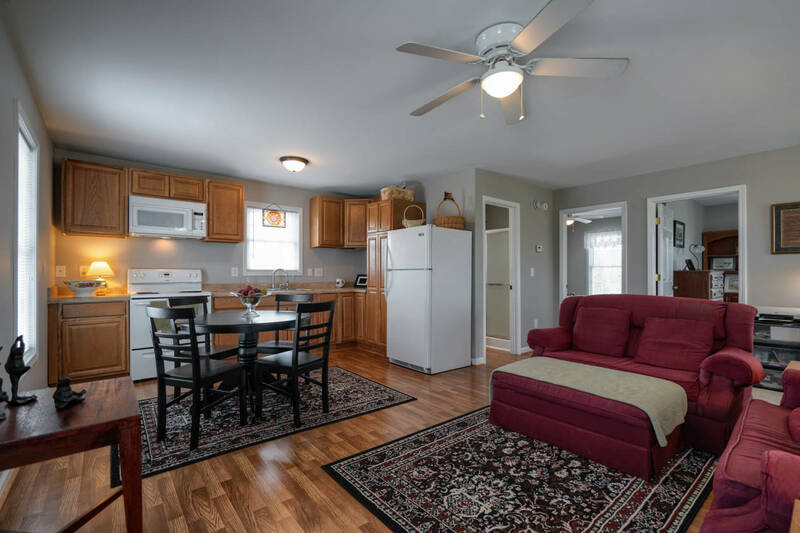 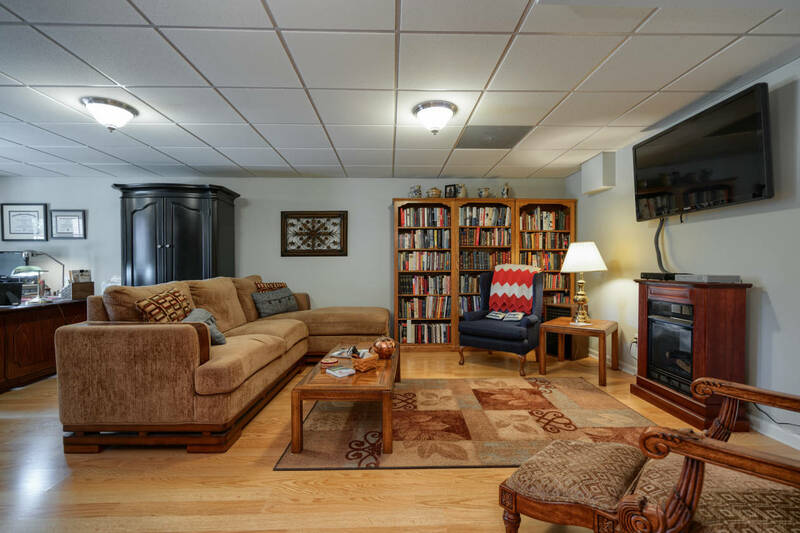 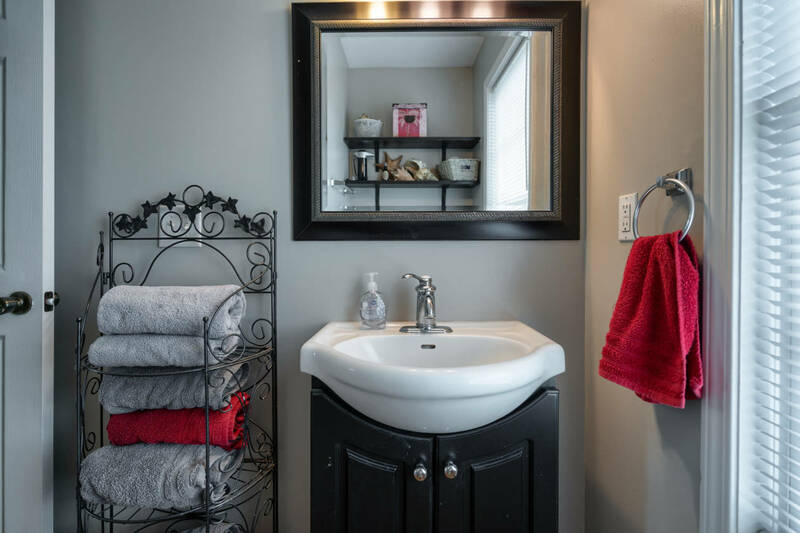 The carriage house offers open living space w/full kitchen, 2 beds & 1 bath. 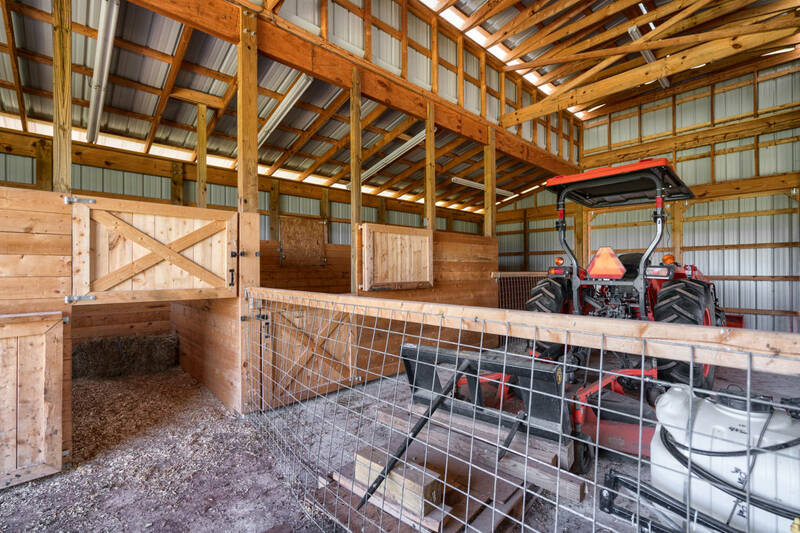 The garage has a sprinkler system & a whole house generator keeps the power on when the main power goes out. 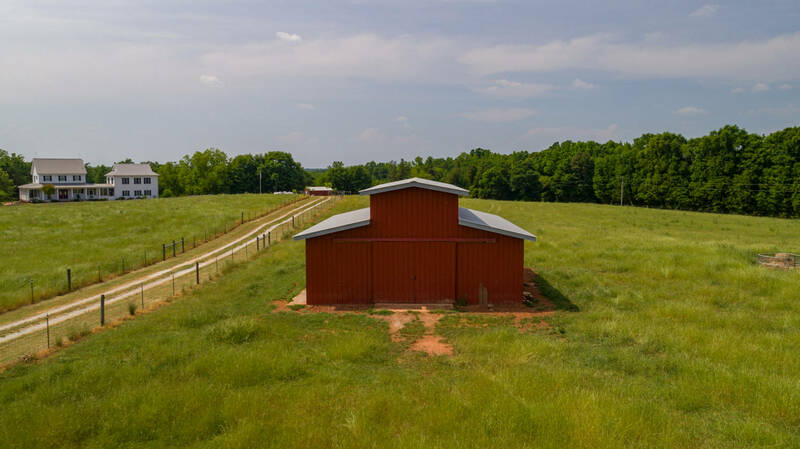 The property also offers 2 septic tanks, the perimeter of the 30 acres has hot-wired fencing. 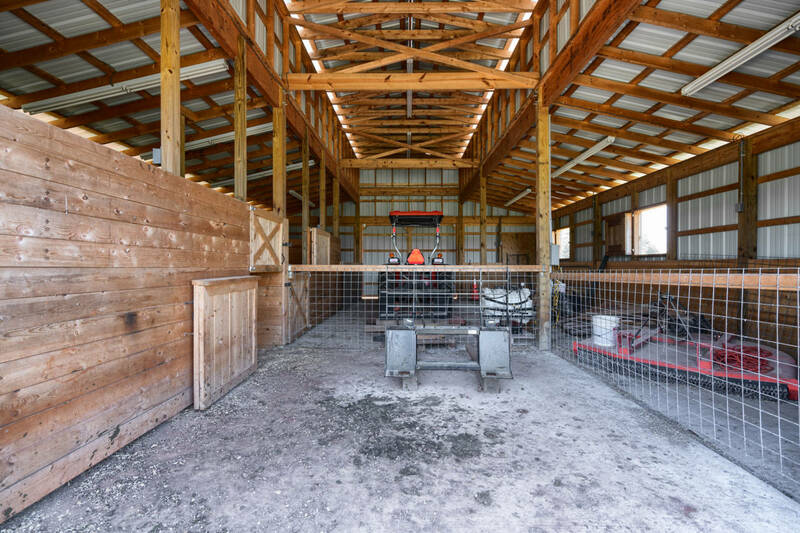 Pasture fence is also TOP hot-wired. 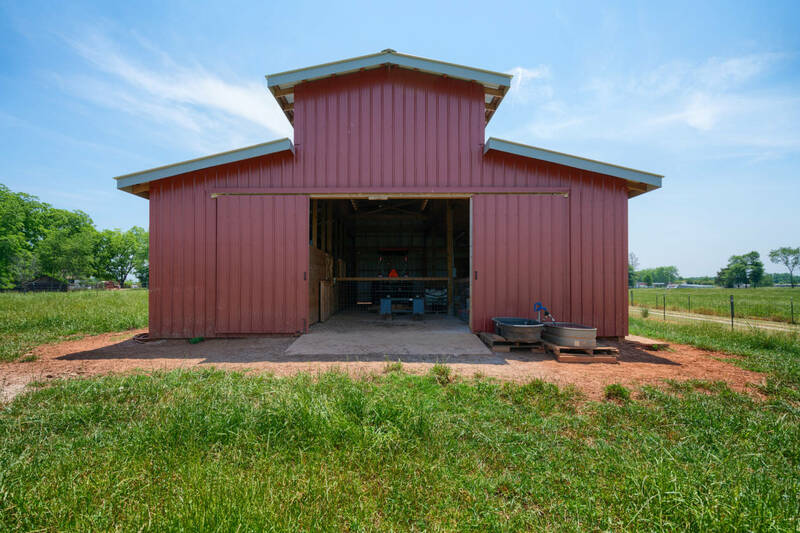 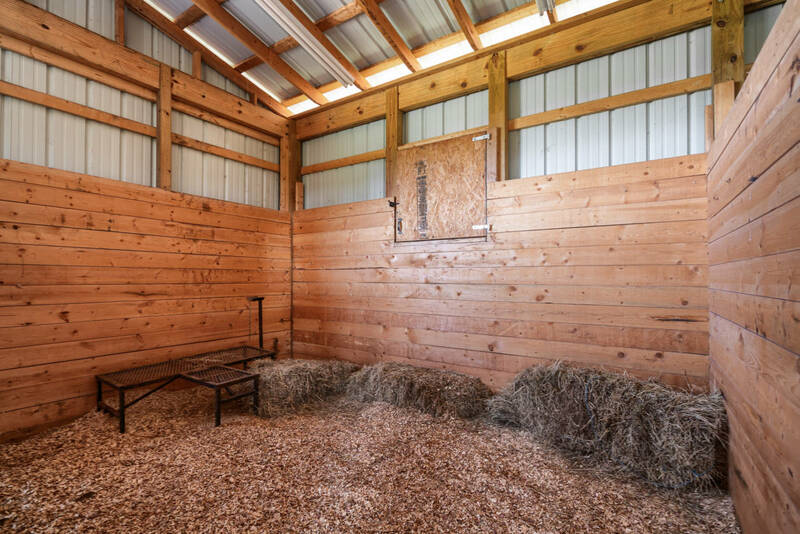 A 20x25 metal storage shed with electricity and a dedicated 30 amp outlet for a RV and a 32x40 loft capable barn with 2 horse stalls will house the farm equipment. 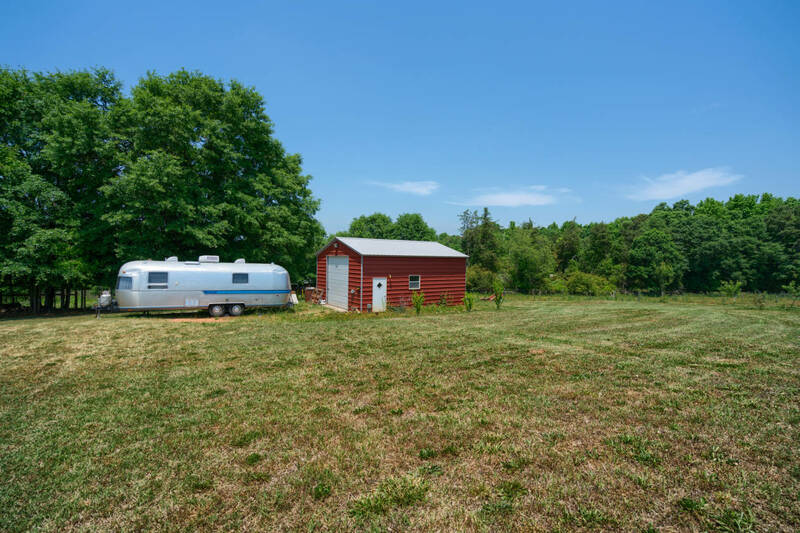 At the back of the property is a natural spring. 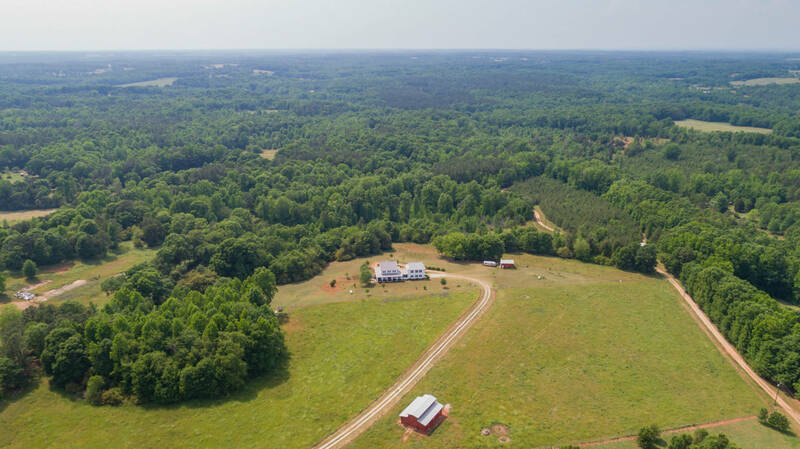 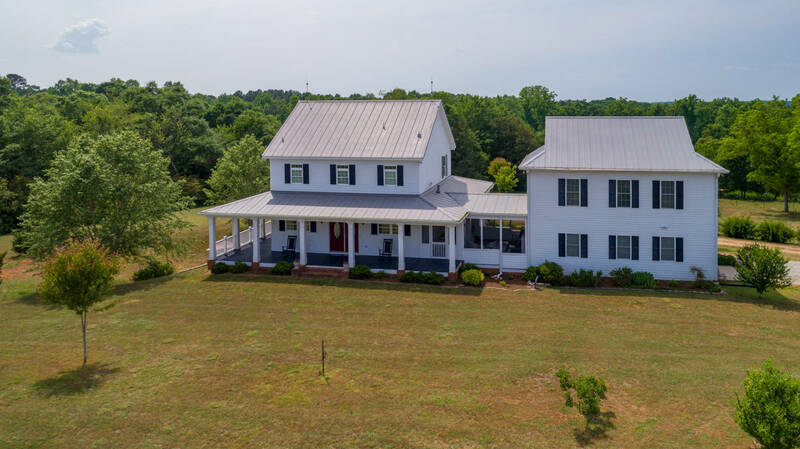 This is truly a picturesque property that is hidden, yet convenient to Athens, Commerce, Lake Hartwell and N.GA mountains. 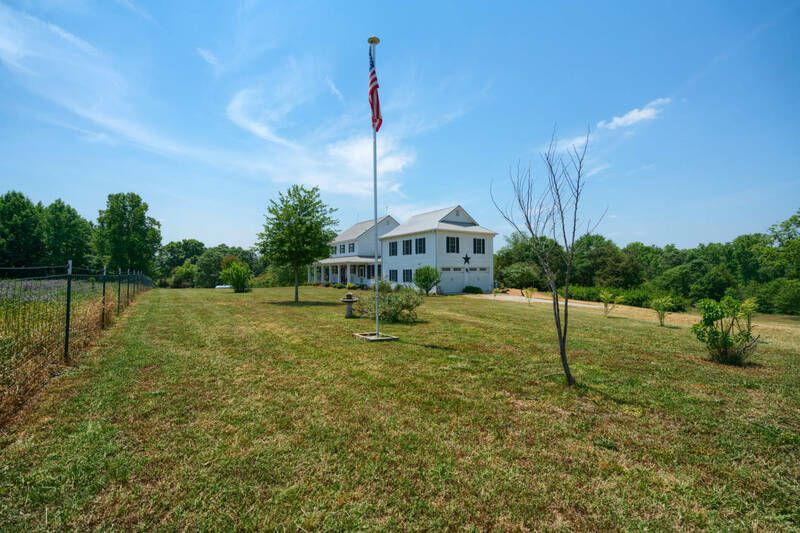 Large tract in back is natural with hardwoods and has a natural spring that could be used if cleared.